Welcome back beautiful balls of Mudpunch! 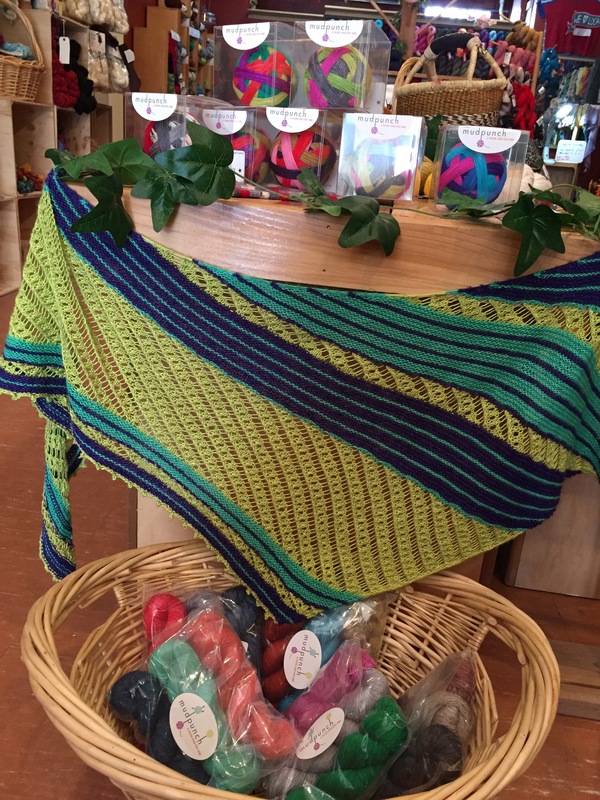 These self striping yarns are custom dyed in Burnaby by our pal Chantel of Mudpunch Yarns. With a tag line: a colour lover dyes yarn what makes Mudpunch so unique is both her combination of colours based on Pantone matching and how her colours seem to glow. She also brought a few 3 skein packs of a gorgeous merino-silk yarn with colour combos perfect for the Tamdou shawl by Melanie Berg. 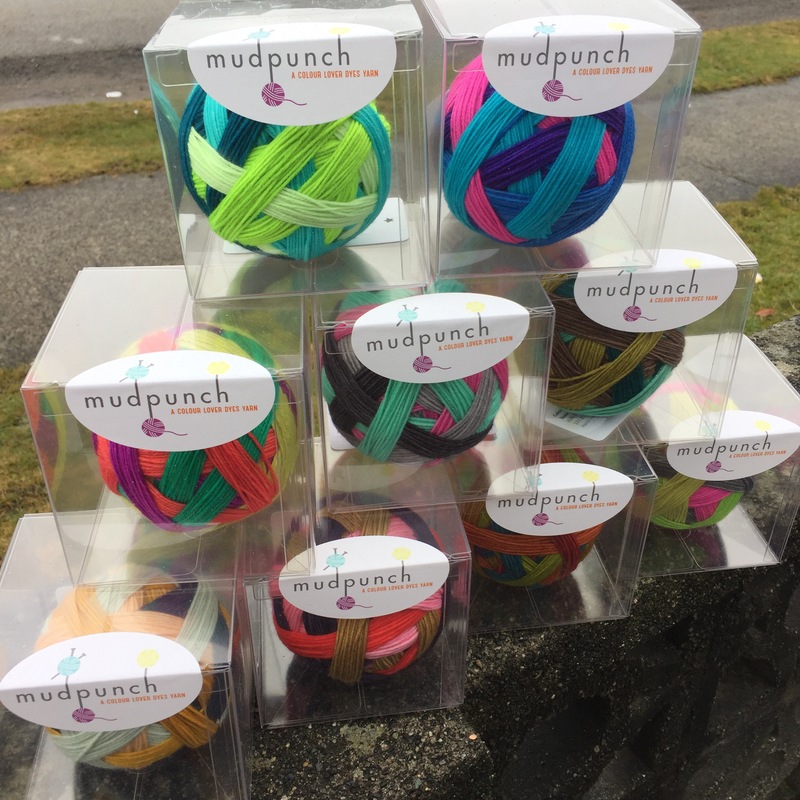 Glad to see Mudpunch back in stock… although I’m certain they won’t be here too long! ← New Baaadass Custom Notions!